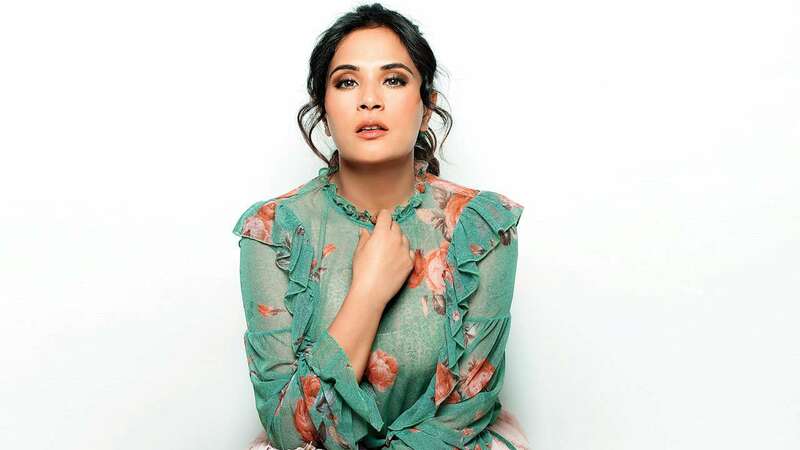 Nov 8 (AZINS) Richa Chadha is shooting for the biopic on South adult star Shakeela in Bengaluru. When you see her, the first thing you notice is the way she has moulded herself into the character of the Malayali actress. Draped in the traditional white-and-gold sari and her hair adorned with flowers, Richa is unrecognisable. She has even put on a few kilos to resemble the buxom star, but is still nowhere close to the voluptuous South actress. “Yes, when I first met Shakeela, she said, ‘Tu bahut dubli hai, kuchh nahin hai’ referring to her bosom. So, I decided to put on weight and gained around five-and-a-half kilos. Now, there are rolls of fat on my back. However, I couldn’t go into it wholeheartedly. I tried eating chips, cutlets, fries and papad for a month. Usse pet nikal aaya, and now I am trying to get rid of it,” laughs Richa, who believes that a physical makeover is not the be-all and end-all of a role. “Usually, you read about actors undergoing a physical transformation, but that’s not the only thing, there are so many other aspects that go into playing the character,” she elaborates. However, the Masaan actress confesses that it has been her most difficult character to play, so far. For the first time, she was acting in a film that has director Indrajit Lankesh and the entire crew coming from the South. “It was completely new for me. Moreover, it is a challenge to play this role when everything else is going well in my career. People will ask if this is vulgar, titillating... I didn’t need to take this risk, but it is such an incredible story,” she enthuses and excitedly recalls her first meeting with Shakeela. “I wanted to meet her in an easy surrounding. So, we met at a hotel and she ordered for drinks, Old Monk. When they served peanuts with it, she was like, where is Mutton Biryani, Chicken Tikka, etc? She loves food and is full of life. She is like a child. She got pushed into this (career) so young that she has had no organic growth from 18-24, no coming of age. She has no life skills, she is all heart. She trusts people easily and gives away all her money,” mentions Richa. Tell her the biopic will be compared with Vidya Balan’s The Dirty Picture (2011) that was based on another South siren Silk Smitha, and the award-winning actress admits it is inevitable. “I am not fighting it, I am tired of telling people that this is a different story. When Silk (Smitha) died, Shakeela became a superstar. It covers the time period from Silk’s death and that is where there will be some similarities in terms of colours and costumes. Honestly, it’s not a bad comparison. Vidya was great in the film and I loved The Dirty Picture. But this is a realistic film and in a different zone,” smiles the 31-year-old. With the #MeToo Movement gaining momentum, does she feel Shakeela’s biopic will benefit considering she must have also suffered some kind of harassment. “Yes, there is some angle of harassment, everything is not one-dimensional. We started filming in July and had no idea that the movement would start in October, but this film will be an eye-opener for everyone,” signs off Richa.